Perfect for your little girl's Disney Princess theme room! This will be the crowning jewel in any little Princess" room. Measures: 14 x 8. 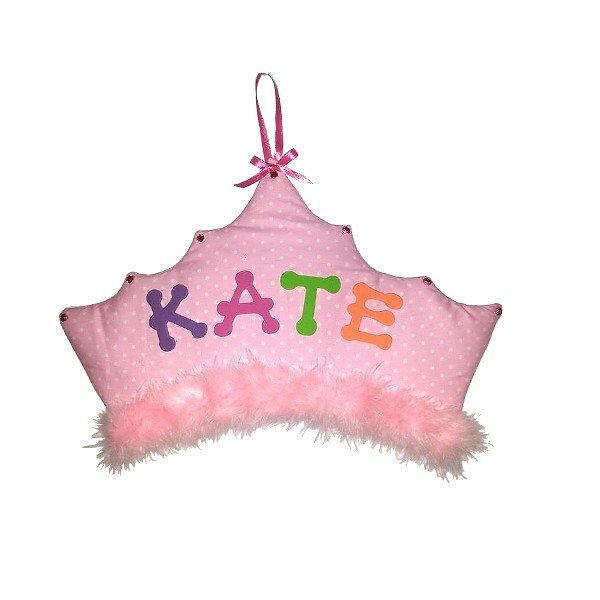 Our Princess Crown Wall Design is personalized FREE (up to nine letters long). Ribbon is included for easy hanging. Fabric wall design is quilted with batting and foam and has unique details.